It’s no wonder everyone wants to take these home, and that they’re pretty hard to spot. 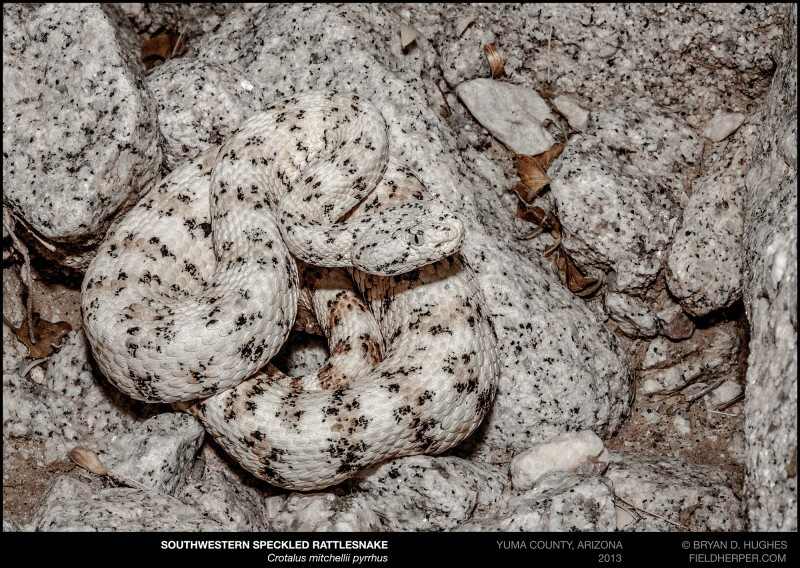 This is one of the famous white speckled rattlesnakes from Southern Arizona, found in a desert wash at night and left as is. This entry was posted on Friday, November 28th, 2014 at 8:44 am	and is filed under Field Herping, Photography, Snakes. You can follow any responses to this entry through the RSS 2.0 feed. You can leave a response, or trackback from your own site.